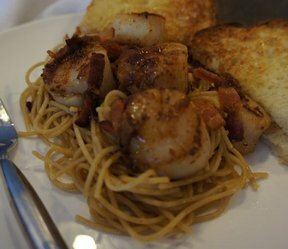 Scallops cooked in a with a little bacon are not only mouth-watering but quick to cook up. 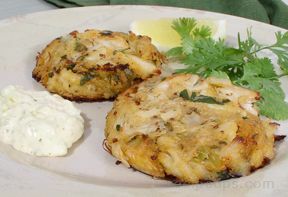 With only six ingredients, you'll be sure to enjoy this and you'll impress anyone you cook it for. Serve it with a nice green salad. Use your leftover turkey and gravy to make this mouth-watering savory pie. 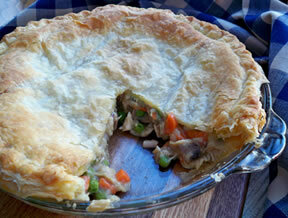 The flaky crust is filled with turkey, gravy, and vegetables to create this scrumptious pot pie. Your favorite store bought ice cream can be substituted for the homemade ice cream if preferred. 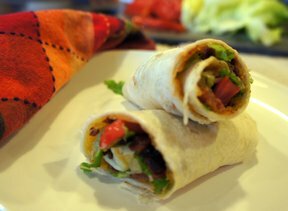 With a different twist to traditional meatloaf, the taco seasoning and tortilla chips give this recipe a Mexican flair. 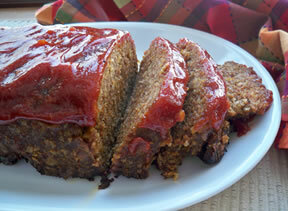 The sweet glaze on top is the perfect accent to this Mexican-style meatloaf. 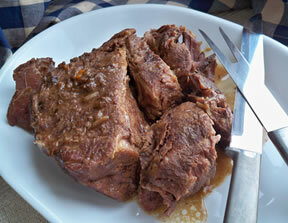 Cooked in a slow cooker, this moist and tender beef roast also creates delicious gravy. 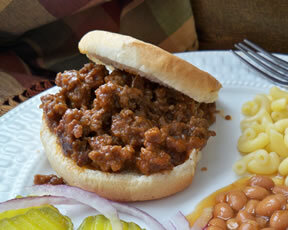 What makes it even better is that it is so easy to prepare.